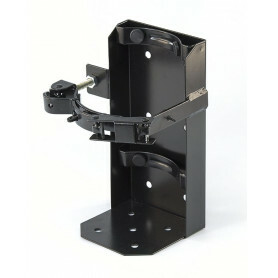 Heavy Duty - Powder Coated There are 4 products. FlameStop offers a versatile range of heavy duty powder coated vehicle brackets that are suitable for multiple vehicle types. Can be mounted on a car, truck, caravan, boat, earthmoving equipment, tractor or any situation where the extinguisher could be jostled about. 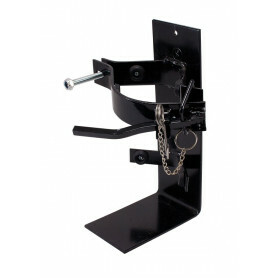 The heavy duty powder coated vehicle brackets are available in numerous sizes. 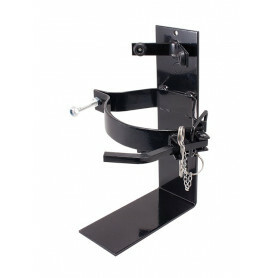 The design features an adjustable retaining strap and an over centre locking latch with a security pin. 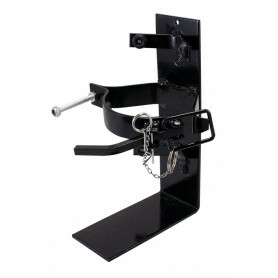 This prevents the latch from accidently releasing as well as providing a visual indication of tampering. The single strap design is robust and comprises of a thick layer of rubber which prevents scratching and rubbing.